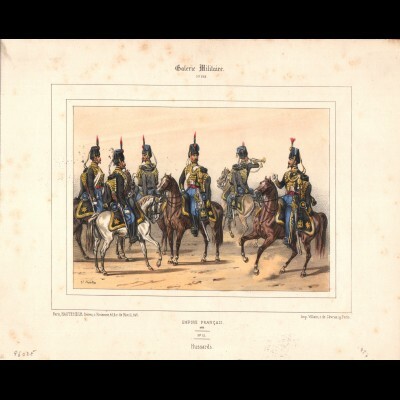 These lithographs signed Ferdinand Bastin, enhanced with watercolor and partially erased, include the uniforms of the Great Imperial Army and regiments of line under Napoleon III. They come from " Galerie militaire Uniformes français sous Napoléon III. 1855-1856-1857. Paris, Maison Martinet, Lithographie Villain". 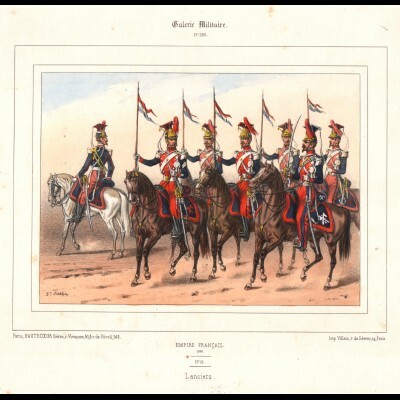 Estampe de la " Galerie militaire Uniformes français sous Napoléon III". 1855-1856-1857. Paris, Maison Martinet, Lithographie Villain. These lithographs signed Ferdinand Bastin, enhanced with watercolor and partially erased, include th..